Luxury Vacation, Travelling and Technology Concept - Young Stylish Woman with Mobile Phone on the Deck-Chair at the Andaman Sea. HD, 1920x1080. 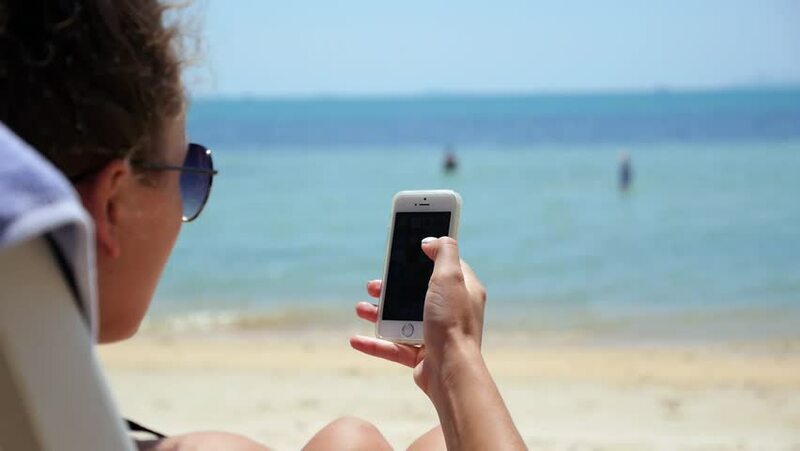 hd00:17Happy Young Woman Using her Smartphone on the Beach. Vacation on Koh Samui, Thailand. HD, 1920x1080.